Come out to beautiful Asheville to learn from and network with export experts and enjoy a cold post workshop beverage. This Export University workshop will help U.S. companies learn important processes to grow export sales. Discover options to improve your efficiency and lower costs. Topics will cover tools to globalize your website, comply with export regulations, export shipping documentation, how to locate foreign buyers, provide your global buyers lower risk credit terms, and the tax and legal implications of exporting and export financing to include IC DISC and access to working capital. Presenters will include exporters with extensive export experience, subject matter experts from the private sector, U.S. Department of Commerce, Economic Development Partnership NC, and the Small Business Administration. Attendees will be invited to an after workshop social with NC District Export Council members at an Asheville pub to network and get one-on-one guidance on export processes. 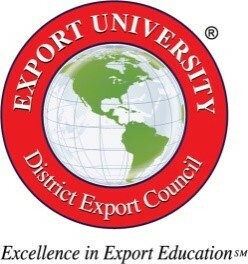 Export University is a series of courses on exporting designed to help North Carolina companies begin or expand export activities and to gain skills that will assist them grow their international sales. This Export University is a brought to you by The NC District Export Council, U.S. Department of Commerce’s Commercial Service, with support from UPS. The North Carolina District Export Council is a non-profit organization charged with helping increase small business exports in North Carolina. When: June 1, 2017 From 8:30am to 4pm. Networking social for all attendees, presenters, and NC District Export Council members at Asheville Bier Garden in downtown Asheville immediately after the workshop at 4:30pm.